Monday blues are real. Hence, you need something to kick it away out of your day. The best antidote for it is a blues-on-blues face-off. 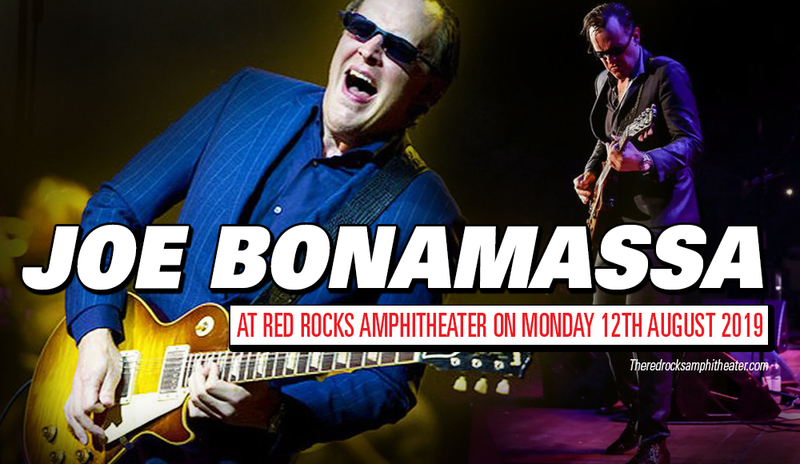 And the best and most recognizable face of blues music is none other than Joe Bonamassa. With Joe dropping by for a show at the Red Rocks Amphitheater on Monday 12th August 2019, rest assured that you're gonna be starting your day and your week right. Ultra cool sounds, awesome legendary guitar player, and great vibes are all you need to give you that much-needed mood boost. And to top it all off, Joe Bonamassa is hailed as one of best live acts, certified a 'must-see' concert artist, bar none. Go, get your tickets now! One must be a helluva blues guitar player to be personally invited by B.B. King himself to open his shows, at the tender age of twelve. Joe Bonamassa had such a rare and amazing privilege. His prodigious talent has launched his career in leaps and bounds. To date, he has twenty number one blues albums on Billboard, and he's not done counting as of yet. With his early headstart on the live stage, he has become a live concert artist veteran. In no time, he has graced some of the most famous stages of the world — The Royal Albert Hall, Radio City Music Hall, and the Red Rocks Amphitheater. His numerous best-selling live albums are a testament that his music is best experienced live. Catch this sensational show while you can!